Jeff joined Whitelaw Twining in 2016 after practicing personal injury law for three years at a boutique firm. Prior to that he articled at a national full service firm with an emphasis on employment, commercial and professional negligence litigation. 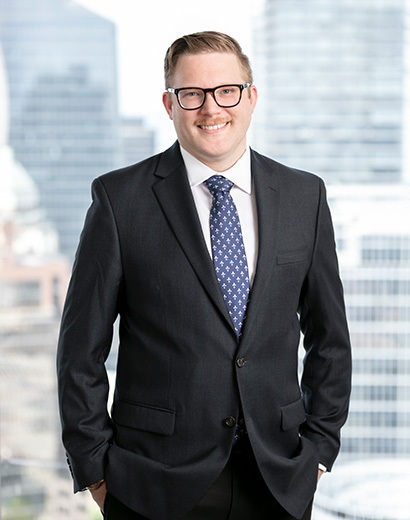 Jeff has appeared on behalf of clients in matters before the Provincial and Supreme Courts of British Columbia, as well as the British Columbia Court of Appeal. He currently practices in the area of general insurance litigation with a focus on bodily injury claims. Jeff is incredibly adept at taking large volumes of information and distilling it down to the critical facts. He efficiently and effectively moves his files along to resolution, whether through negotiations or litigation. Outside of work, Jeff is an officer in the Canadian Army Reserves. He spends his weekends conducting operational planning or commanding troops on field exercises. He is also a published historian, an avid boater and guitar player. He is a graduate of the Command and General Staff College.